Contemporary design makes Thelma set a versatile accessory for day and evening look. 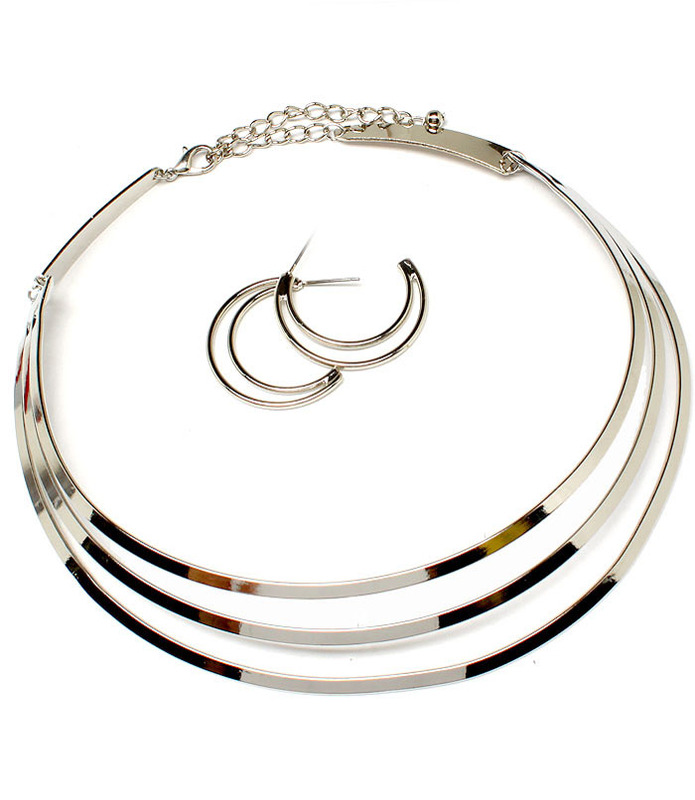 The necklace consists of three thin silver tone straps with smooth surface. Moonlike earrings with a hollow central part. Add any of our attractive collar necklaces to your favorite summer outfit and make it pop!